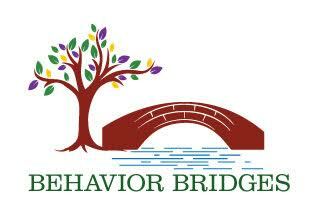 Puyallup, WA, October 2, 2018 – BHCOE Accreditation has recognized Behavior Bridges with a Preliminary Accreditation, acknowledging the organization as a behavioral service provider dedicated to continuous improvement in Applied Behavior Analysis. BHCOE Accreditation recognizes behavioral health providers that excel in the areas of clinical quality and staff qualifications and promote systems that enhance these areas. BHCOE Preliminary Accreditation occurs for newer organizations or organizations preparing to meet full accreditation review within a year, prior to a full evaluation. This consists of a high-level review of organizational systems to identify areas for improvement prior to growth. The BHCOE Accreditation is a trusted source that recognizes behavioral health organizations committed to continuous quality improvement. BHCOE offers a third-party measurement system that differentiates and provides independent feedback on clinical quality indicators. The BHCOE criterion features standards that subject-matter experts developed to measure effective applied behavior analysis services. The Preliminary Accreditation audit process consists of an interview, document review and systems analysis. The Preliminary Accreditation can also be used by providers looking to prepare for full accreditation within the next year as a way to prepare for the larger survey. For more information, visit http://www.bhcoe.org/.